TradeTec is home to some of the best people in the trade show exhibit industry. We were voted one of the Best Places to Work in Illinois in 2016, 2017 & 2018! Every member of our team is dedicated to creating the best experience possible for our clients. We are always looking for good people who are willing to show that kind of commitment. 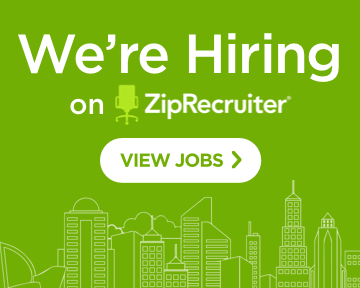 If you are interested in applying for a position (and you meet the qualifications,) please use the ZipRecruiter links below and be sure to include your resume with cover letter. Feel free to contact us with any questions about our open positions using the information listed on this page.